Article published at kpby.2bserv.ru/ 14.10.2013. It’s cramped and noisy behind the scenes of the Youth Variety Theatre: the crew of the channel “STV” finishes setting up the lighting and adjusts the decorations – in just a few minutes the casting of the second season of the project “Singing cities. The second season.” will start in the hall. While dozens of contestants are nervous in the hall, the main star of the day – a famous European artist – and along with it, our countryman, Alexander Rybak, prepares himself behind the scenes. The young man came to the Belarusian capital only with his manager and literally for only one day – to take part in the project. There is no place to turn around in a very small dressing room, but the guy doesn’t get upset, he quickly brushes up, checks his violin and goes to more spacious hall. – Alexander, there is a piano, maybe you will play for us to cheer up this morning? – urges on “Komsomolskaya Pravda”. – Looking for something similar? No, I really like that there is no concept, like we’re looking for copies. If there will be a good rap – no problem, I’ll take it! For example, it’s difficult to choose an opera voice on the “X-factor”, because you realise that it does not fit the format. And here I can choose anyone! You can select any voice, boy or girl, of course, for me, it’s always more pleasant to choose a girl (smiles). – And how will you teach them? – Via Skype, because I’m always on tour. I’m very glad that I shouldn’t immediately decide who to choose – today I came for the first impressions. Oh, I just hope that the contestants will understand my Russian. – Speaking of communication. Do you plan to visit your relatives? – I always try to meet with my sister and niece, but they live in Vitebsk, and this time I won’t manage to visit them. I want to concentrate on the competition. But it’s A plus for me that I arrived yesterday and I’ll leave tomorrow, because I don’t usually stay for more than a day. Therefore, it’s only my manager, a suitcase and a violin with me. – For how long did you concider whether to accept a part in the “STV” show or not? – At first I was sceptical because I didn’t want to say negative things to people and discuss their voices. But it turned out that this is a very nice show, and generally it’s the most pleasant talent show, I have seen, because there is no strict selection, everything is based on the positive. I don’t have to kick out, but only choose! Five minutes before the start, the winner of “Eurovision” went on stage and greeted the dozens gathered. Before the casting Alexander Rybak came out to the participants. – Here I am, such a simple guy, – he smiled broadly. – Don’t worry and remember that this is not the last day of your life, but it’s a very important one, so try hard! – A-a-a, it’s him! – Girl squeaks next to me. – He is even better live! He looked right at me! The toastmaster Alex Normalis has been preparing the image of Elvis Presley for a couple of hours before his performance. Then a medley of all kinds of people are leaving. You can see the guitar of a gothic dressed girl, the toastmaster Alex Normalis rehearses the dances in the style of Elvis, some girl writes notes under the care of her mother in the lobby, and the little ten-year-old Katusha in a bright suit remained in the hall. Her father took her to this casting to find out from Rybak, what the girl should work on. Katya is not bored at all to sit alone in an empty hall: each participant, who goes to a special point in front of the jury, has his own story. For example, the housewife Irina Kupriyantseva, who is 45 years old. She has no musical education but she sings in karaoke clubs, and in addition she sings lullabies from the cartoon “Masha and the Bear” to her little grandson. She sang the song «Zhenshchina, kotoraya poyet» (“The Woman Who Sings”) for Rybak and got approving responses for her skill and courage. The young grandmother amazed the singer with her voice, courage and enthusiasm. 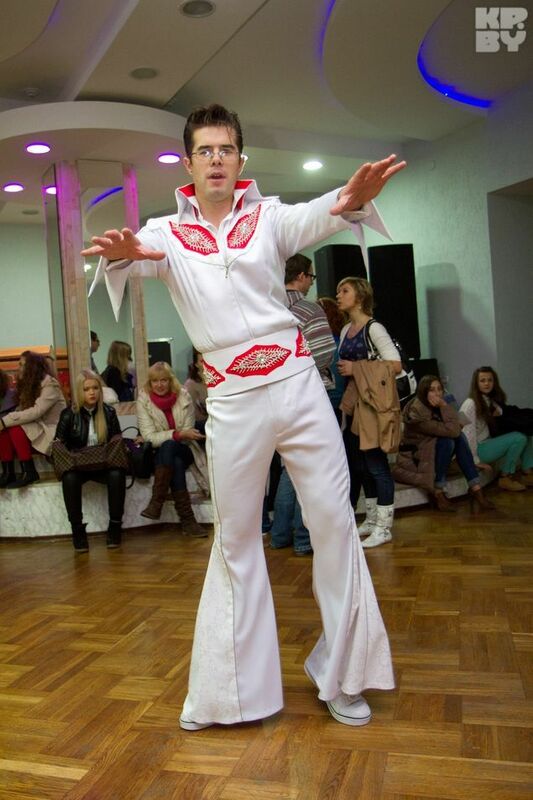 – I always knew that Rybak is a very groovy guy – the satisfied participant leaves the stage. – I knew him before, people told me that he is a very positive person! Thirty-year-old Marina and twenty-six-year-old Andrey, the blind singers, were sent to the competition by the company.